Donate to Minnesota Conservation Volunteer TODAY! IMPORTANT: This order page is meant for customers that wish to contribute to MCV but not receive the magazine. If you’d like to contribute AND receive the magazine, please click here. Already a contributor? Please login below. If not, enter your information below. Call 844-245-7115 to add an email to your record. Tax-deductible contributions from our readers alone support MCV magazine and its education and outreach projects. other amount $ Yes! I'd like to automatically renew this as a yearly contribution to Minnesota Conservation Volunteer. $5 $10 $12.50 $15 $30 other amount $ This will be a monthly recurring contribution to Minnesota Conservation Volunteer. I’d prefer not to have my name listed in the magazine or the annual report. I wish to contribute and/or give a gift but do not wish to receive the magazine. 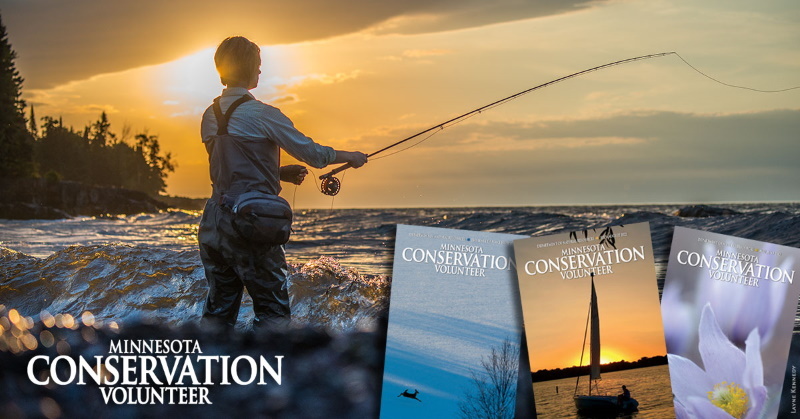 Minnesota Conservation Volunteer is a publication of the Department of Natural Resources, a state government agency, which means your name and address is considered public information. Unless you specify otherwise, it may be used for notification of continuing education opportunities, employment recruitment, research, product offerings, and charitable contributions. Please check here if you do not want to be included on mailing lists for the DNR and other groups.